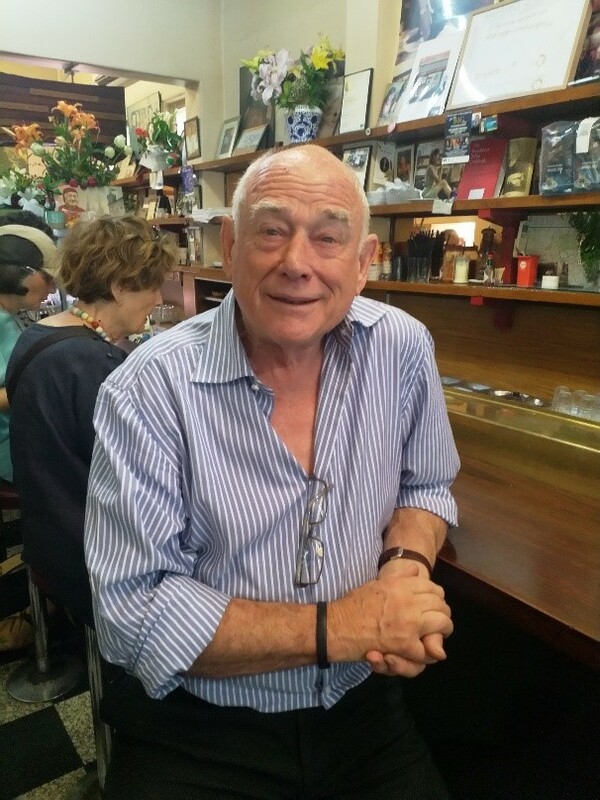 The much loved and respected 74-year-old Italian restaurateur and co-owner of Pellegrini’s espresso bar, located in the vicinity of the scene of the crime, had run the establishment originally set up by Pellegrini brothers Leo and Valdo in 1954, for decades and is forever present in the hearts of those who remember him, his important contribution to local history and culture, and his warm smile as he greeted customers, telling anecdotes as he went along. 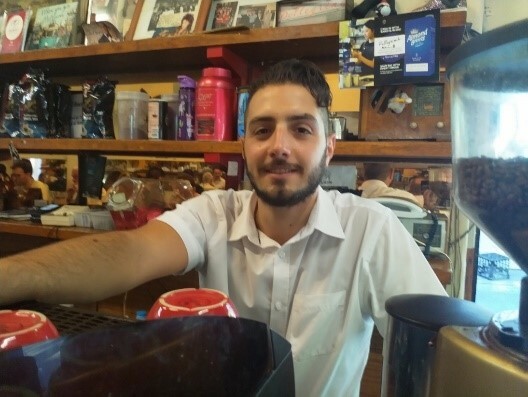 A native from Le Marche, Malastina arrived in Melbourne in the early 60s and took over Pellegrini’s – an increasingly popular Italian establishment – in 1974, running the bar with co-owner Nino Pangrazio. Melbourne was at that stage positively influenced by several waves of Italian settlers promoting their culture in suburbs like Carlton and Preston, and most definitely the Pellegrini’s part of Bourke Street which was a hub not only for Italian locals with an appreciation for simple but authentic Italian signature dishes, and the homely and accommodating feel to the bar, but also for a mixed nationality clientele who made Pellegrini’s their regular hangout. Sisto indeed made his clients feel as if they were part of one big family. Often referred to as “the heart and soul of Bourke Street”, he is remembered by renowned Melbourne writer Arnold Zable who in his heartfelt tribute to the Italian the day after his death writes that “Sisto loved people, and I was one of the thousands who loved him”. Nino, very accommodating, a warm and gentle man with a calm and steady voice and the ability to share at a time that is personally devastating for him, shows us what really matters: strength in adversity, undying love, respect and deep admiration for a man who meant so much to so many. 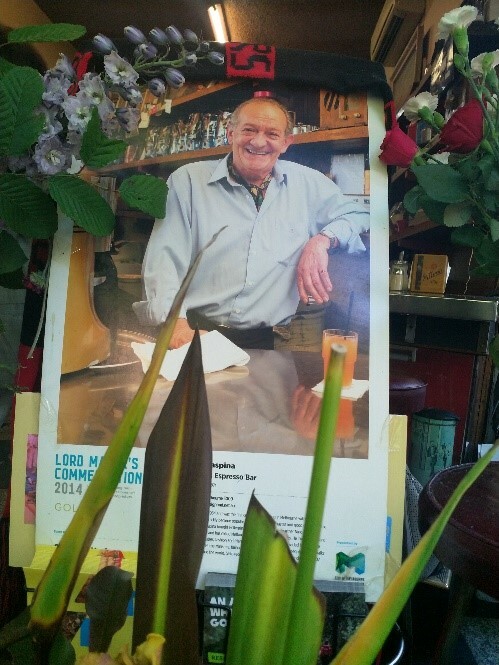 Sisto himself gone, the memories of this great individual live on, as does his spirit and a light that keeps shining bright: inside Pellegrini’s, on the streets of Melbourne, and in the world at large. That same evening I come home and make myself a plate of spaghetti bolognese – in honour of Sisto and all the good things in life. Photos by Jytte Holmqvist (18/11 and 19/11/2018). With kind permission by waiter Dominic and Nino Pangrazio.